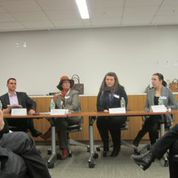 The panelist discussed their respective agencies and then what qualifications they look for when hiring interpreters. All the agencies stated that training on the CV was a good thing. 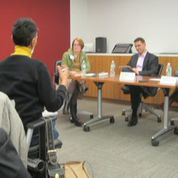 Ms. Santarpia from Geneva stated that if there is no training, relevant work experience would help interpreters stand out. For example someone who worked as a paralegal and was now starting in interpreting would be considered by Geneva. 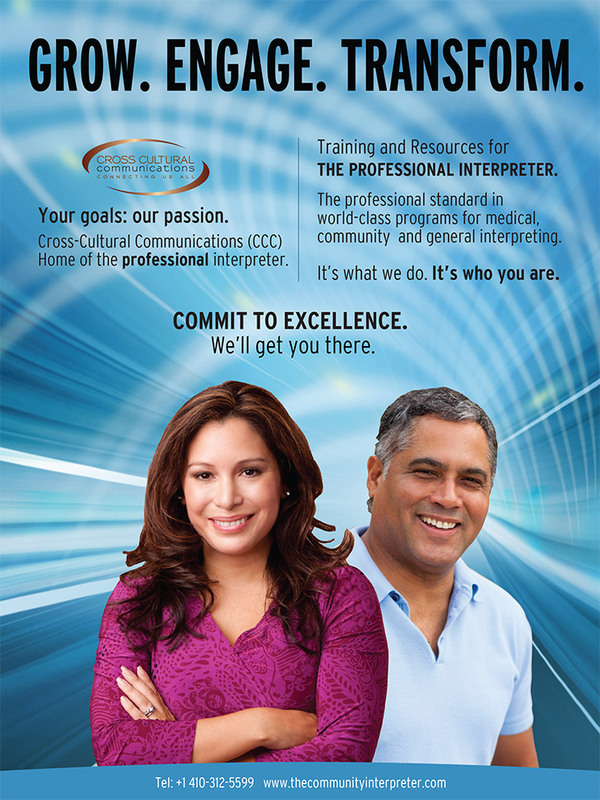 It also helps to be recommended by interpreters who are on their roster. 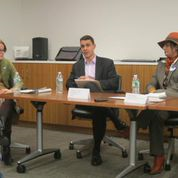 In fact all the panelists agreed that recommendations from colleagues were a plus. Ericksen tests potential interpreters for language proficiency and eloquence of delivery. From Ms. Santarpia of Geneva: You need to establish a relationship with your agency – as recruiter, I like to meet my interpreters in person; there has to be a personal connection. All agencies lamented about client education. Clients and other industries really need to understand about interpreting. It requires more than just a bilingual. They all breathe a sigh of relief when servicing clients who truly understand what interpreting entails. In fact Ubiqus has written in their contract that “if no materials are provided prior to the meeting then they cannot guarantee the quality of the interpretation.” This is quite unique in the industry. While in-person interpretation is the ideal it is not always available in every circumstance. Geneva and Ericksen both agreed that in situations such as medical you prefer the “human touch”, an interpreter not only delivers what the patient says, but more importantly what is not said. An in-person interpreter can see if the patient scrunches up their face in pain, or looks confused or frightened. The telephone cannot relay those sentiments, video does not work that much better. Many hospitals use VRI machines or phone interpreting (Woodhull Hospital using VRI machines) but for many situations, it depends on the condition of the patient him or herself before knowing whether or not VRI or phone interpreting works. However, where face to face is not available these types of interpretation are the only choice. Hospitals by law must provide language services to patients. What are the areas which have the most growth potential in the interpreting market? Due to globalization there is a huge demand for web localization and branding a business into other markets. Interpreters are generally hired to help with visits and signing contracts between CEOs, CFOs and their international counterparts. Ubiqus finds that business meetings and forums keep them quite busy are growing on a yearly basis. This part of the industry is quite robust and does not seem to be slowing down. Can people do both interpreting and translating?